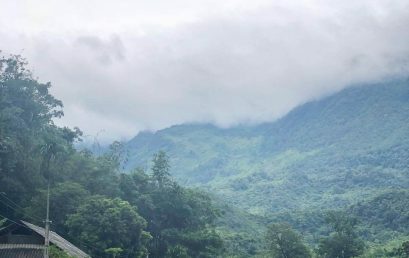 Sapa, with its cool climate all year round, is an attractive destination for those who love mountains and forests, and want to experience the wildlife of the Northwest. Those who love to travel should not miss this interesting place. Clothes: Sapa’s weather varies from day to day, so tourists need to prepare suitable clothing for the climate. You should bring neat and lightweight but warm clothes. Carrying something bulky should be avoided. If you go for a long time, you can carry a little laundry detergent to wash clothes. Due to the specific terrain and walking to explore the beauty and scenery as typical tourist product of Sapa, visitors have to walk a lot. So to make your legs really comfortable, you should prepare a pair of shoes or sports shoes. High heels are unnecessary to bring (if you want to hang out in the center of Sapa, you can wear high heels). Personal papers: Most of all hotels in Sapa require ID card to do temporary registration (if you lost your ID, you can replace them with your passport or driver license). 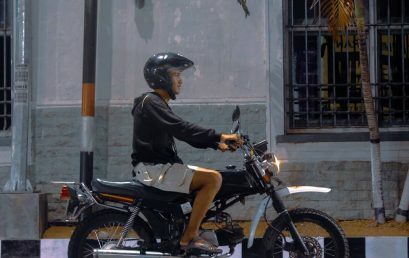 In addition, many tourists will need to rent a motorbike, so remember to bring a driver’s license to make the trip well-prepared and happy. Ta Phin Village. Photo: Mai Tien Doan. Also, you should prepare some personal belongings for the trip such as glasses, masks, towels, gloves… Besides, you have to carry toothbrush, toothpaste and face towel because the quality of these things in the hotel is not good. Snacks: Because the backpacking trip is mostly on foot and takes a lot of energy, you should prepare cakes, milk, chocolate and candy. It will be very helpful for you on the way and especially candies can be given to ethnic children as small gifts. 2. 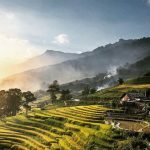 When should you backpack to Sapa? Spring: In Sap, there is a vast forest with so many blooming flowers such as peach blossom, plum blossom and so on. 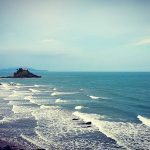 If you want to go for the peach blossom, you should check the weather carefully before departure because it can change every year. It means that the peach will bloom sooner or later than previous years, perhaps, making you lose the opportunity to admire the beauty of this flower. Tourists should travel from February until April or the first week of May. Rice season: In Sapa, there is only one crop of 6 months, sown in early May. Green rice is high in July – September while yellow rice is in the range of Octorber-December. 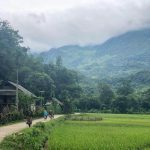 If you want to combine vacation with rice paddies sightseeing, it is advisable to go from July to September because if you travel from October to December, the weather may be cold and foggy. Winter: Sapa is very cold in winter. In recent years, the weather is so harsh that there is snow. It is not possible to predict the exact date of the snowfall, so you have to keep track of the weather information by contacting with the locals (or maybe the hotel you plan to stay in), or reading newspapers and watching TV. 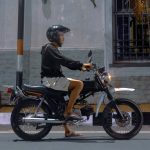 Complete backpacking: Surely your vehicle is a motorbike. 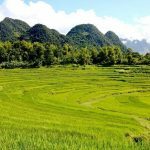 You go straight from Hanoi – Yen Bai – Lao Cai – Sapa only. You just drive one the highway so it is easy to go. The distance is about 390km. If you have your own motorbike, just check it carefully before departure. 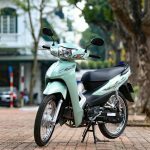 Otherwise, you need to find information about Hanoi motorbike rental to rent one. Partial backpacking: You will take a train or passenger car to Lao Cai station and then, rent a motorbike to Sapa. The distance from Lao Cai Station to Sapa is only about 40 km. 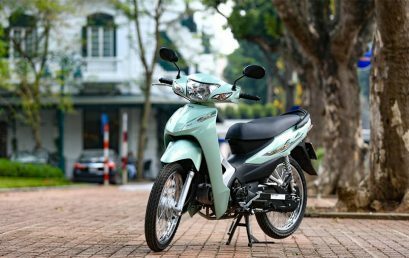 The cost of renting a motorbike is about 100,000-200,000VND/day ($4.5 – $9/day), depending on the type of motorbike, so you should choose the manual transmission one that both saves fuel and ensure safety for sloping terrain. Alternatively, you can choose to take a straight passenger car from Hanoi to Sapa. Traveling by train: The majority of visitors to Sapa will choose the train for their trip because of its is cheap price, safety and convenience. 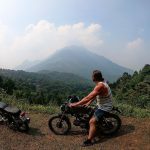 However, its disadvantage is that the train only takes you to Lao Cai station, then you have to catch the car passenger or rent a motorcycle to Sapa. There are many prices for train tickets to Sapa (Hanoi – Lao Cai). It is about 130,000-600,000 VND ($6 – $26) for a normal train and the tourism one is more expensive, about 650,000-750,000VND ($29 – $33). Sapa’s accommodation system is divided into 3 areas: Lake surrounding area, Cau May – Muong Hoa and central town. 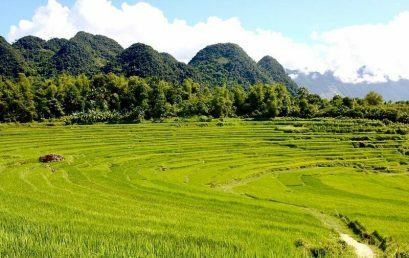 Among these, the hotels in Cau May – Muong Hoa are the most beautiful as most of them have beautiful views towards the hills and especially the Fansipan mountain top. Price is not inexpensive. The cheapest motels in the area are near the lake, with the price of 200,000-300,000VND ($9-$13). If you want to stay in a more comfortable hotel, you need to spend 500,000-700,000VND ($22-$30) to reserve a room at a 3-star hotel in Cau May – Muong Hoa area. 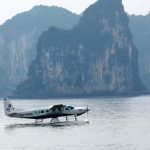 There are also some luxury hotels such as Victoria, Topas Ecolodge, Chau Long costing over 1 million (over $45). However, the price rates vary, depending on your arrival time. If you arrive during the holiday season, the price can be much more expensive. 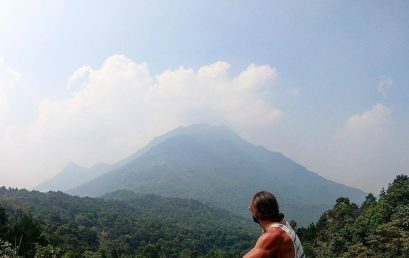 For those who like to enjoy 100% backpacking experience and explore the cultural space of the ethnic minorities living here, they should choose the homestay service. This will be a great experience you cannot forget and also the most cost-saving form of the trip. Food price in Sapa is not expensive but you should ask the price before eating. At night, you can hang out on the streets and then, drink San Lung wine with fried dishes. Known for the cold province, Sapa’s most famous specialties are temperate vegetables such as white cauliflower, broccoli, red radish and chayote. Sapa is also famous for its “armpits” pork which is sipped with Tao Meo wine (the kind of local apple with scientific name as Docynia indica).